The UAE is on the trajectory to become one of the world’s leaders in creating a knowledge society and a knowledge-based economy, said Sheikh Nahyan Mabarak Al Nahyan, UAE Minister of Tolerance. 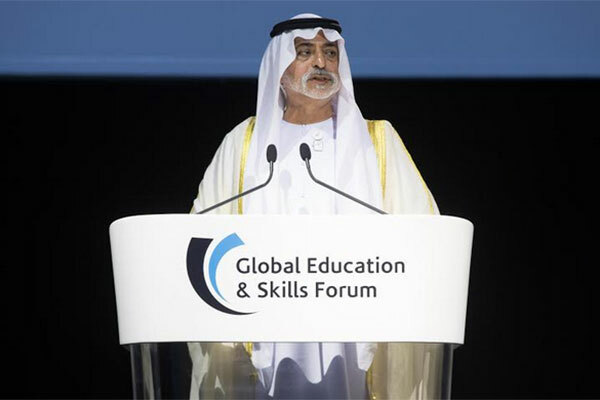 He was addressing the audience on the second day of the Global Education and Skills Forum in Dubai,, the annual Varkey Foundation event that celebrates inspirational teaching and which works to ensure that every child has access to a good education. However, the Harvard professor, who has won plaudits for his work on the computational theory of mind and for his advocacy of evolutionary psychology, stated his belief that human society was progressing in many ways, with one of the most important being that we are becoming more and more intelligent. “One of the most incredible, astonishing, difficult to believe examples of progress is that we are getting smarter. This is true. In a well-documented phenomenon known as the Flynn effect, IQ scores have increased all over the world by three points a decade. This is the result of the spread of health and education, of the increased use of visual symbols in everyday life and of the trickle-down of technical, abstract and scientific concepts from universities that are putting technology in everyday life,” he added. Bana Al-Abed then took to the stage to discuss the Twitter messages that made her famous. The Syrian nine-year-old drew worldwide attention during the siege of Aleppo in 2016, with her communications on the social media platform revealing the stark reality of what it was like for a young child to live under constant bombardment. Revealing her love for the fictional character Harry Potter because ‘he loved and took care of his friends,’ Bana also described who her real life heroes were. “My hero is someone who teaches me… who teaches me to be brave and who believes in me to change the world. It’s my mother. My heroes are children who are suffering from hunger and cold. My heroes are children who are dying from war. My heroes are children who are struggling to live their lives,” she said. Highlighting the worst aspects of the airstrikes and the devastation, hunger and displacement that the Syrian conflict caused her community in her al-Bab district of eastern Aleppo, Bana said that it was the loss of her friends that was the hardest thing for her to bear.